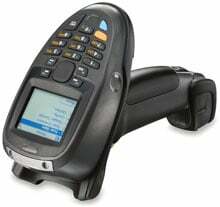 Motorola MT2090 - Wi-Fi (802.11a/b/g), 2D Imager Scanner, Windows CE 5.0, Bluetooth, Color Display, Numeric Keypad. Interface cables and charging cradle sold separately. For the full kit see (Part# KT-2090-SD2000C14W). Interface cables and charging cradles sold separately. Single slot Bluetooth charging cradle (Part# STB2078-C10007WR) requires power supply (Part# PWR-BGA12V50W0WW) and AC Line cord (Part# 23844-00-00R). Quad charging cradle kit (Part# KT-STB2000-C4US). The Motorola MT2090-SD4D62170WR is also known as MOT-MT2090SD4D62170W	or MT2090SD4D62170WR	.